Debuting at the Milan Design Week, Toyota’s Setsuna is one of the most unique concept cars to debut from a major automaker this year, maybe ever. 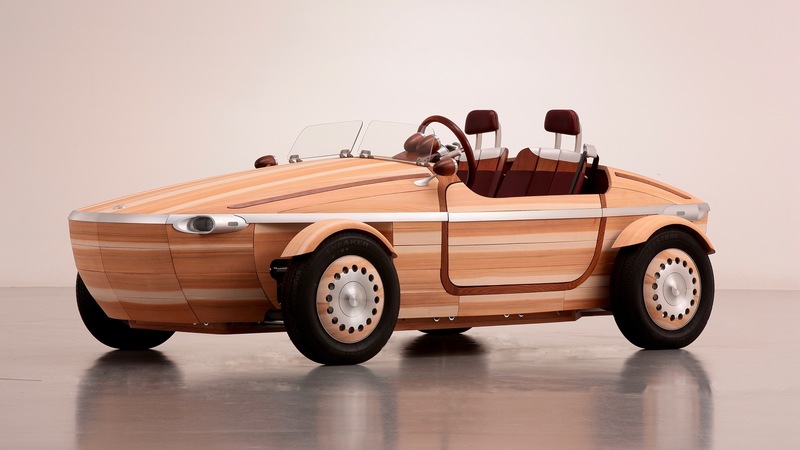 If it’s not obvious from looking at it, this adorable little roadster is made almost entirely of wood — Japanese cedar and birch, to be specific — and was built using traditional Japanese carpentry techniques that don’t involve nails or screws. Basically, the Setsuna is more of a work of art and craftsmanship than it is a car. And as a work of art, Toyota is thinking of the Setsuna as something you’d want to pass down to your kids — not as a beater first car, but as a family heirloom. “As a family accrues time and experiences together with their car, lovingly caring for it and passing it on to the next generation, that car will acquire a new type of value that only the members of that family can appreciate,” the company argues. The company notes that wood’s characteristics change over time, depending on the temperature and humidity levels it is exposed to and how well it’s taken care of. The idea is that as the Setsuna ages, it’ll change and pick up the personalities of its owners and the lives they led. To that end, the car has a “100-year meter” embedded inside of it — a tracker for your grandchildren or great-grandchildren to know how old this machine is. For more pics view The Verge.